Hi Lovelies. Autumn should always feature fabulous fashion because it’s the perfect weather for stylish knits and awesome accessories that are not yet covered up by huge winter coats, scarves and boots. It is the perfect in between weather to pair a a statement jumper with statement heels and not be stifled by an overwhelming chill in the air. Today’s outfit inspiration is the perfect daytime autumnal ensemble that is casual but still dressy and chic. 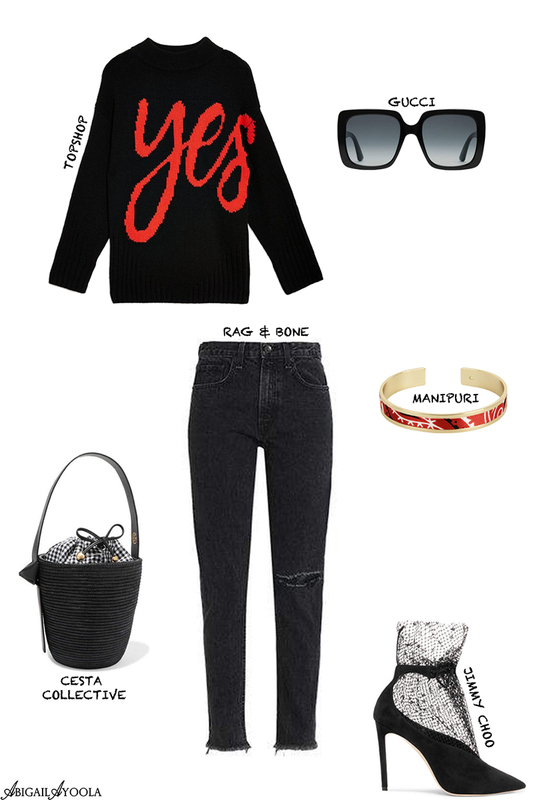 If you’d like to see how I personally styled this Black ‘Yes’ Jumper, view my outfit post here. Enjoy!